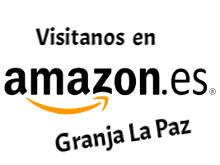 Granja La Paz has been distinguished since its inception in 1998 for the excellent quality of its products and its ecological raw materials. for that reason we adopt higher physicochemical standards than that which the law establishes. Exquisite products at your disposal. A new concept of gourmet products. We invite you to try our products of which you will be very satisfied. Stop eating the same basic food and try new experiences that surprise you ! !